Courtesy of Lone Mountain Development. Private lot with magnificent views of east valley and camelback mountain. Electronic glass pocket doors open to a wrap around trex deck with pizza oven, grill and fireplace. 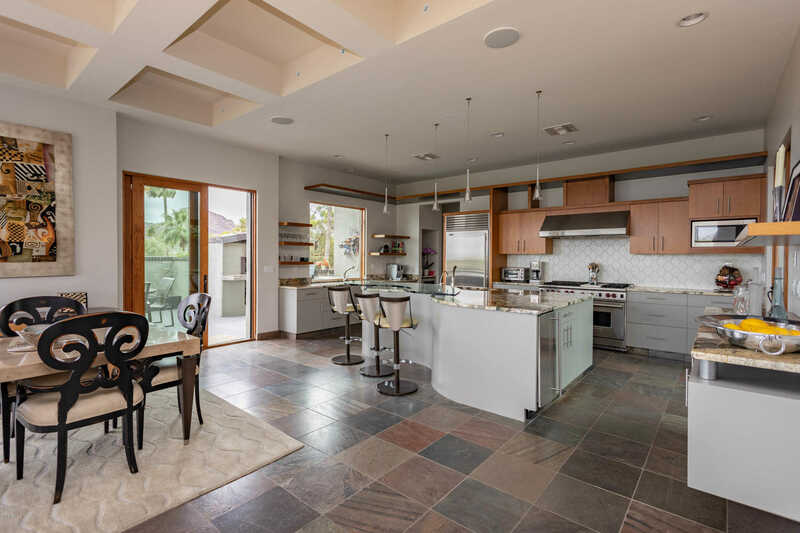 This contemporary home has a spacious open floor plan, polished slate floors, deluxe kitchen with European cabinetry, wolf/subzero appliances, great for entertaining. Master closet looks like a boutique . Your guests will enjoy the private casita. Office has 3 desks/work stations. 8ft custom wood and glass interior doors. Owner/builder has continually updated the home for 8 years. Sewer, electrical, plumbing, HVAC, insulation doors and wood windows replaced 8 years ago. Colonia Miramonte residents have access to room service and member discounts at Camelback Inn. Perfect lock and leave. All furnishing available. Approximate size: 10000.00 sq. ft.